In the summer of 2001, a need was evolving for a standard Unmanned Ground Vehicle (UGV) platform that research organizations could use to push the envelope of autonomous navigation. Thus, re2, Inc. (which stands for Robotics Engineering Excellence), was born. re2 was subcontracted by Carnegie-Mellon University's National Robotics Engineering Consortium (NREC) to build two semi-automated, all-terrain vehicles for the DARPA PerceptOR (Perception for Off-Road Mobility) Program. re2 also provided a wireless pendant system to control the vehicles and an Ethernet interface to allow higher level control from Carnegie-Mellon's autonomous navigation system. This program pioneered new navigation and perception algorithms, producing the state-of-the-art in off-road autonomous navigation technologies. The program was successfully completed in May of 2004. 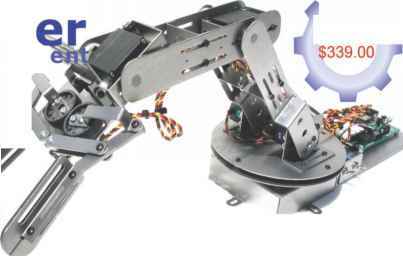 In July of 2004, re2 licensed the robotic controller technology developed at Carnegie-Mellon's NREC for the PerceptOR program. The robotic controller technology encompasses both hardware and software to control the mobility functions of a UGV. Mobility functions include throttle control, steering, braking, and gear shifting for remote control or autonomous navigation. re2 is utilizing this technology in its own commercial UGV robotic platform. This Standard Heavy-duty Robotic Platform (SHERPA) enables researchers to focus on the technologies which are most important to their application without having to reinvent the UGV wheel. For example, one company may want to focus on testing cutting edge autonomous navigation software that will, someday, autonomously bring supplies to soldiers in the field. Another company may want to put sophisticated sensors on the SHERPA to help detect intruders for security or border control applications. Regardless of the application, the newly emerging ground robotics industry can immediately benefit from an off-the-shelf platform such as SHERPA. The base SHERPA vehicle contains all of the features and functions needed to test most advanced technologies. However, if additional features are needed, the SHERPA can be modified. Additional components are also available, such as a complete development station, an electric start generator, a retractable sensor mast, suspension deflection potentiometers, and a tactile sensor bumper. The SHERPA utilizes an all-terrain vehicle (ATV) chassis, suspension, and engine. The additional support structure and roll cage are built from chromoly steel, which is stronger and lighter than mild carbon steel. This infrastructure supports all the electronic actuators required to control the UGV both remotely and autonomously. There are four degrees of freedom that are actuated electrically: steering, brakes, throttle, and gear shift. The steering actuator experiences the largest power draw and can draw peak loads of nearly 1,000 W under severe conditions. Such conditions are mainly found in off-road driving. For example, a wheel may become stuck in mud. The forces required to steer out of such conditions are large. In some situations, the power output of the actuator may not be large enough to overcome the resistance (e.g., up against a rock). This fact dictates the selection of a work-horse actuator that is able to absorb the lost energy. Selecting an undersized actuator for such a situation would result in burning up the electric motor in the actuator and rendering it useless. The large actuator employed increases the reliability of the steering system. The SHERPA fully-loaded with perception sensors as it existed under the DARPA FCS PerceptOR Program. Brakes are automatically modulated as the SHERPA descends hills to maintain desired speed. and cause it to fail. This push-pull electro-mechanical steering system was inspired by the servo linkages found on model helicopters and increases reliability for long term operation. re2, Inc., located In Pittsburgh, PA, Is a Carnegie-Mellon spin-off company specializing in mobile defense robotics with an emphasis on unmanned ground vehicles (UGVs) and unmanned air vehicles (UAVs). re2 has partnered with universities and industry leaders, such as Carnegie-Mellon and Exponent, Inc., to develop and support robotic technologies. As a defense subcontractor, re2 has contributed to the development of mobile robotic technologies for the Defense Advanced Research Projects Agency (DARPA), the Army's Rapid Equipping Force (REF), the Office of Naval Research (ONR), and the Marine Corps. For more information, visit www.resquared.com or call (412) 681-6382.
wiper capacitor, the signal would be too noisy and would present the commonly found "hunting" actuator problem. Real world solutions like this make the difference between a good and an excellent product. The drum brakes are controlled by a linear actuator that pulls on a cable. The brake actuator's position is based on the force feedback read from a load cell that is in-line with the brake cable. The control algorithm uses the load cell feedback to close the loop on the linear actuator. The SHERPA engine is gas powered with a cable that controls the gas flow into the carburetor. 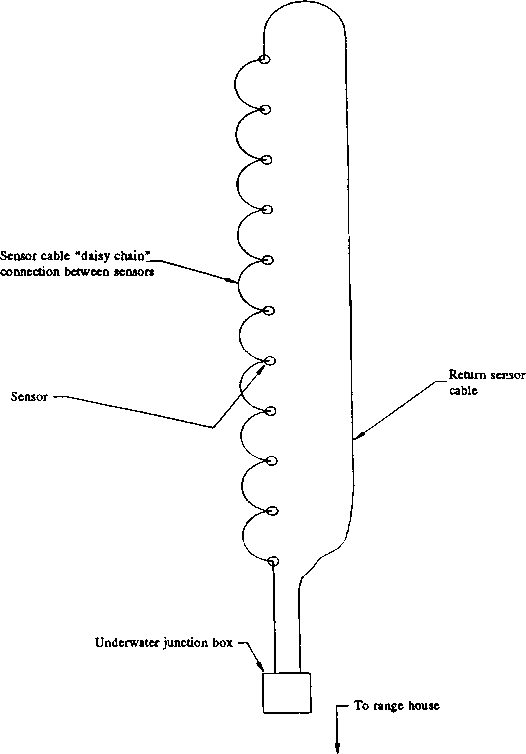 A small linear actuator pulls on this cable. As more gas is supplied, the vehicle applies more power to the wheels and will drive the vehicle faster. However, just like a car, the gas output is not directly proportional to the speed. For example, as 1 you drive your car up a hill, you must give the car more gas. To maintain a certain speed, the throttle (and brake) must be actively modulated by control algorithms. In order to do this, the control algorithms require speed feedback. To get accurate speed feedback on the SHERPA, we embed an electric encoder into the engine. Encoders not only provide speed feedback, but also provide direction information (i.e., forward or reverse). Directional feedback is very important for gasoline-powered engines. For example, suppose that the vehicle is resting on and is pointed forward up a very steep hill. The vehicle disengages the brakes while simultaneously pulling on the throttle cable. Depending on the reaction time of the throttle actuator, the vehicle may begin rolling back down the hill before the throttle has enough power to propel the vehicle forward. Without direction feedback, the control algorithms will detect that the vehicle is already moving fast enough and release the throttle cable, but the vehicle would be traveling in the wrong direction! An encoder provides both the speed and direction information needed to overcome situations such as these. VArm height: 17.75" (45.1cm) vBase rotation: 180 degrees v High resolution 60 tooth geartrain v Lifting capability up to 14.23 oz. !